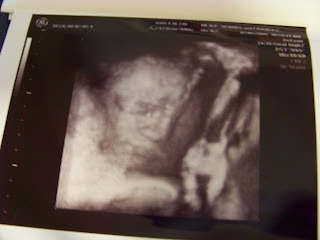 Notions from Natalie: 4-D ultrasound! 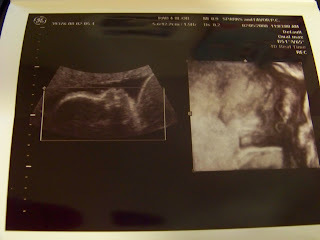 Yesterday, we had the 4-D ultrasound with Cecilia! 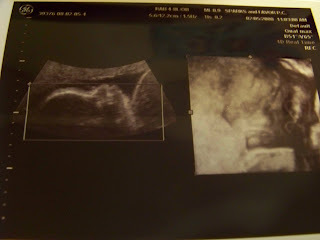 I am totally exctied even though we only got a few good shots. 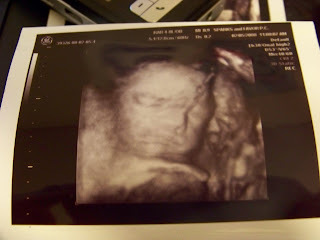 I am impressed b/c the pictures look like a clay mold of a baby's face. 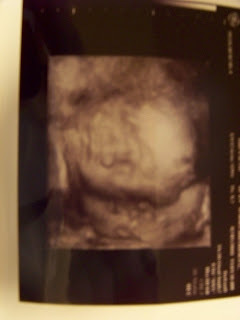 She is going to be beautiful. 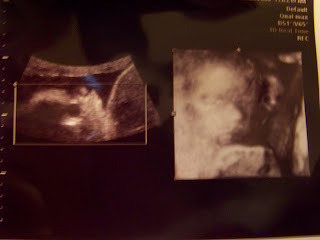 In the pictures, she has her head against the placenta, which is why couldn't get a real clear picture of her entire face. 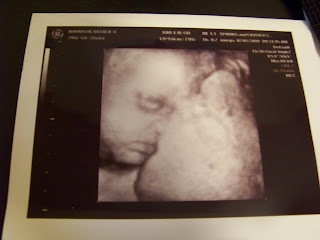 There are some where there is a line going down her face-that is not actually on her face, it is where the sonographer pulled back the image of the placenta and got the rest of the image of Ceci's face. Pretty neat I think! 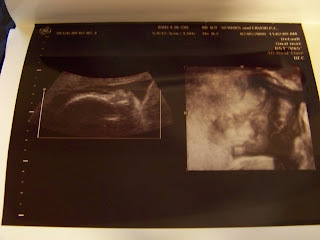 Well, without further ado-Meet Cecilia!!!! !